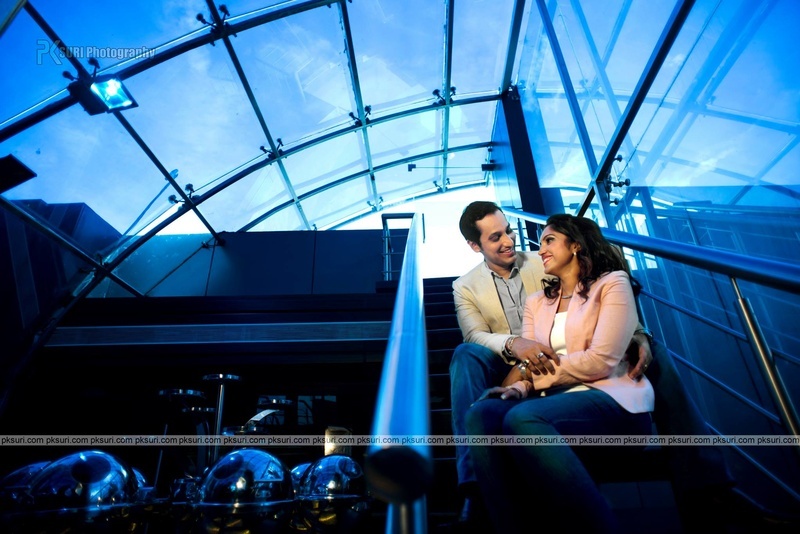 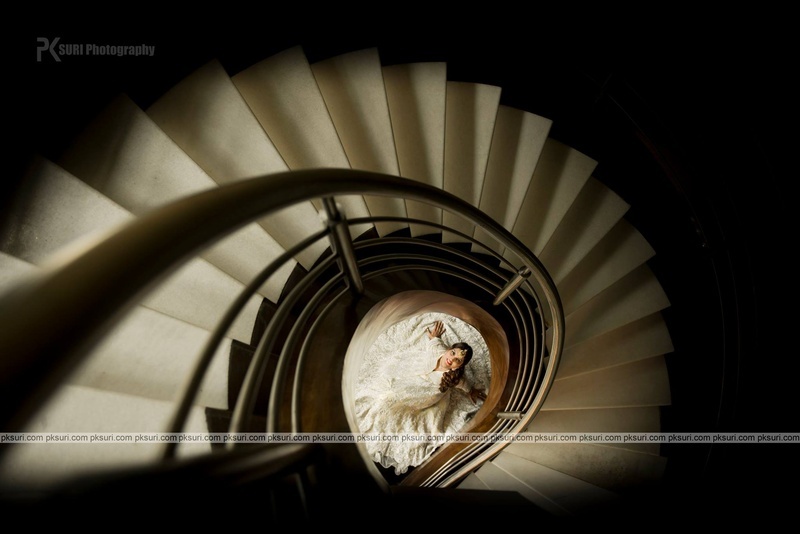 Nidhi and Sandeep showed us how they can go from professional to traditional in a breeze and their pre and post wedding photos are witness to that! 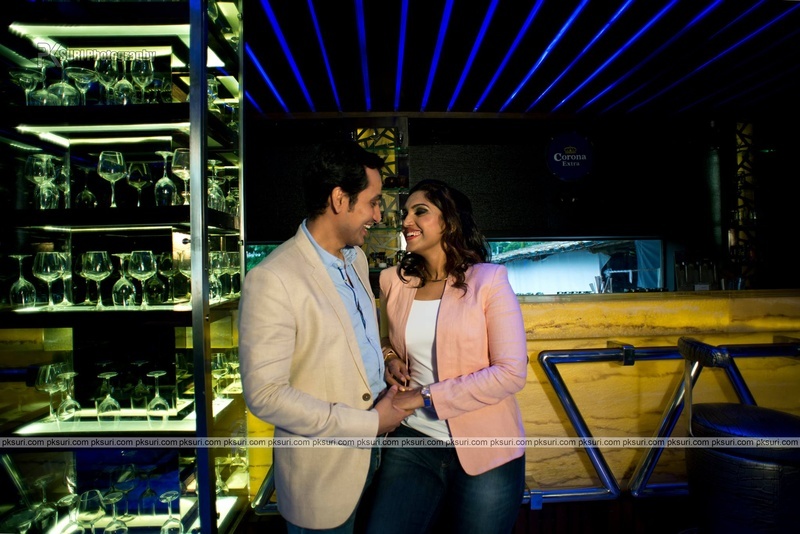 Dressed in sharp blazers and denims, this ravishing couple pulled off the ‘semi-formal white-collar executives’ look just perfectly. 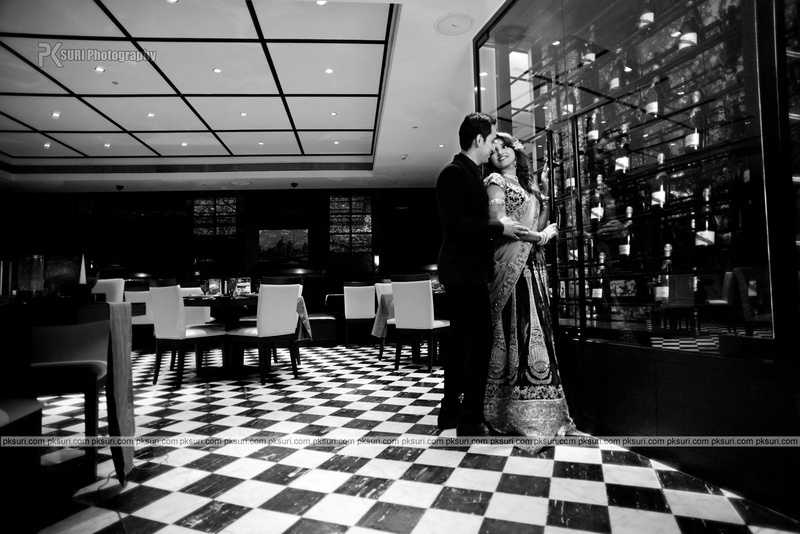 The pre-wedding shoot then continued to capture their rad traditional sides for which Nidhi wore a pure white embroidered anarkali lehenga that was gorgeously embellished with silver sequins and beads, while Sandeep kept it classy with his jet black three-piece suit paired with a red pocket square and matching tie. 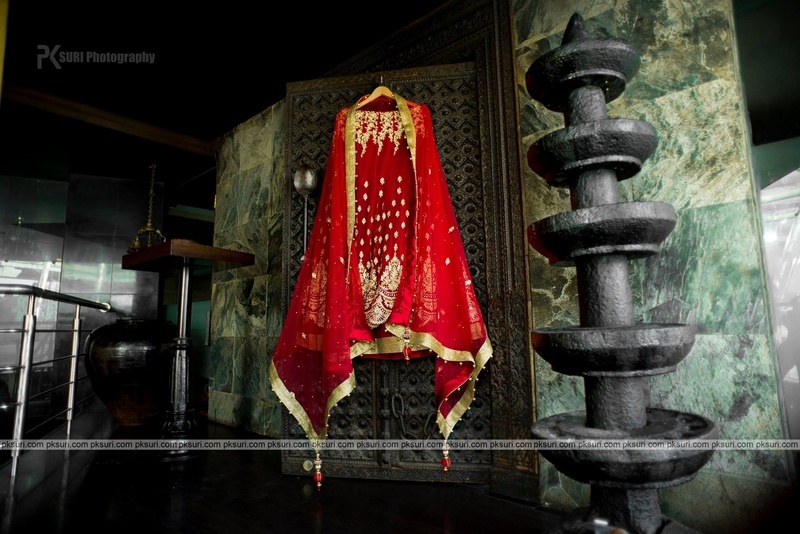 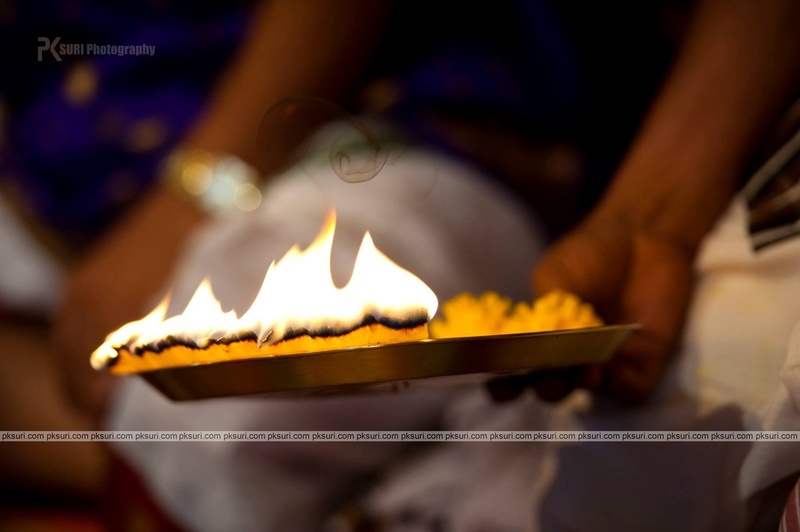 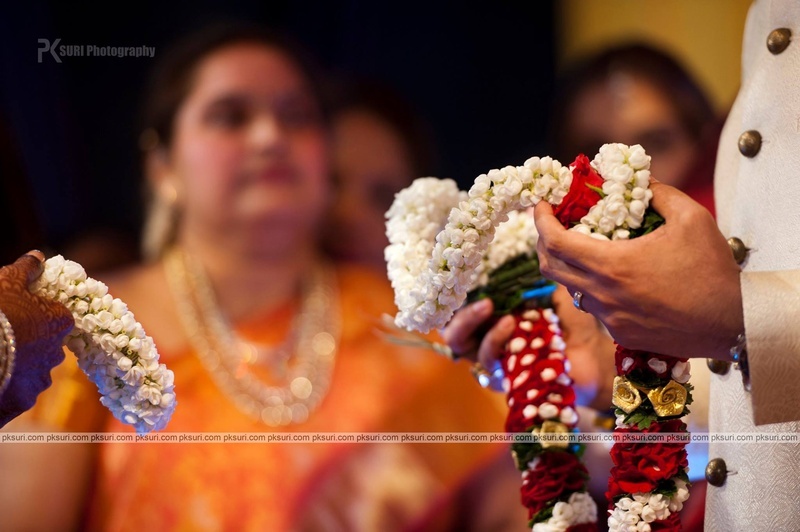 Telling from their wedding ceremony photos, an extravagant South-Indian marriage ceremony was held at Iskcon, Juhu. 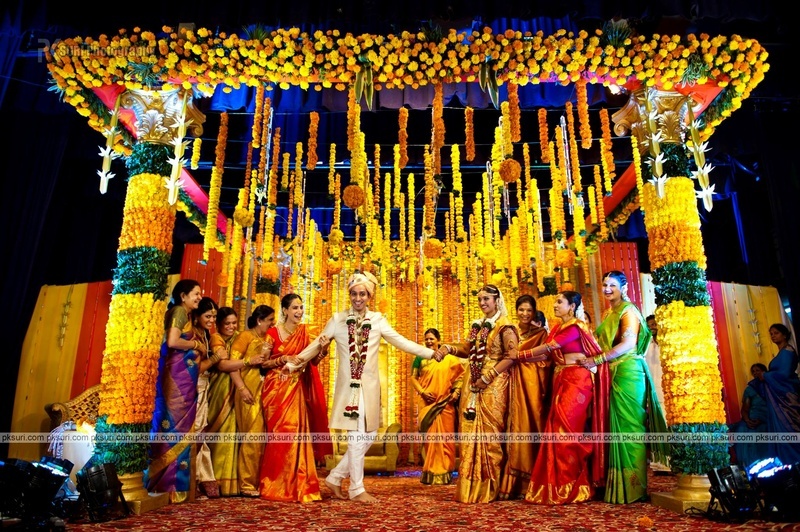 A mandap decorated with an abundance of orange and yellow marigold along with fresh green ferns hosted the union of these beautiful souls. 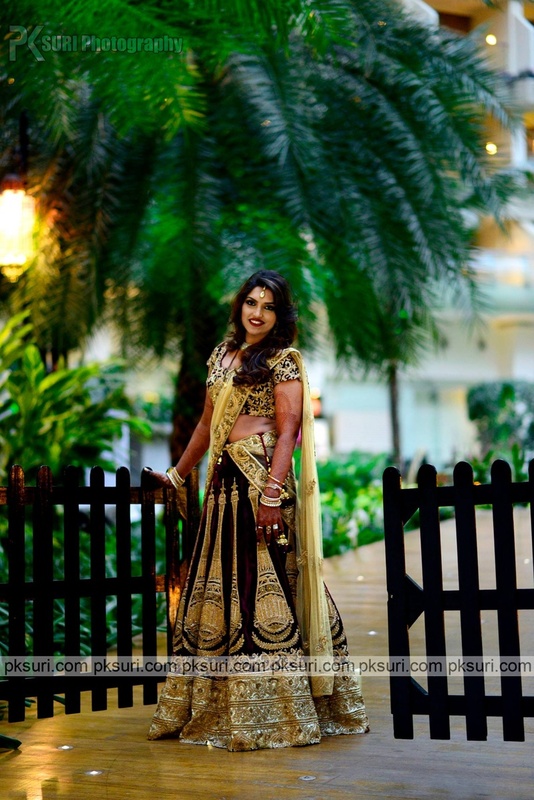 Nidhi wore a gold kanjivaram saree and accessorized her look with layers or traditional gold and pearl jewellery. 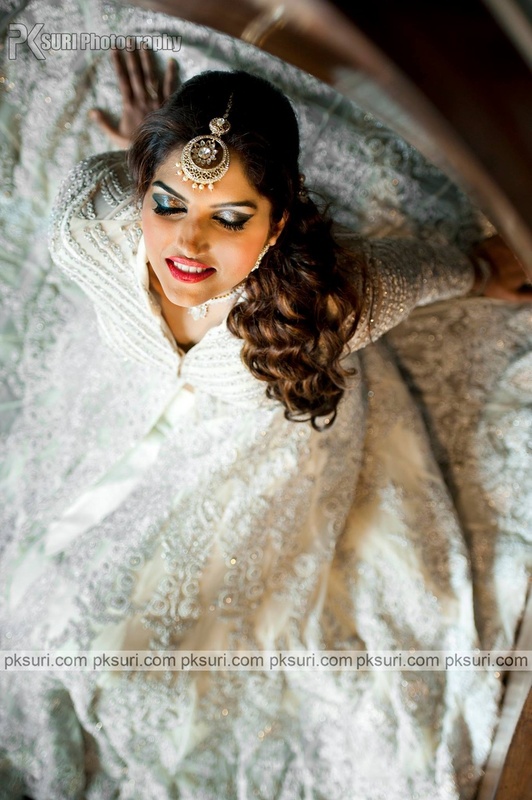 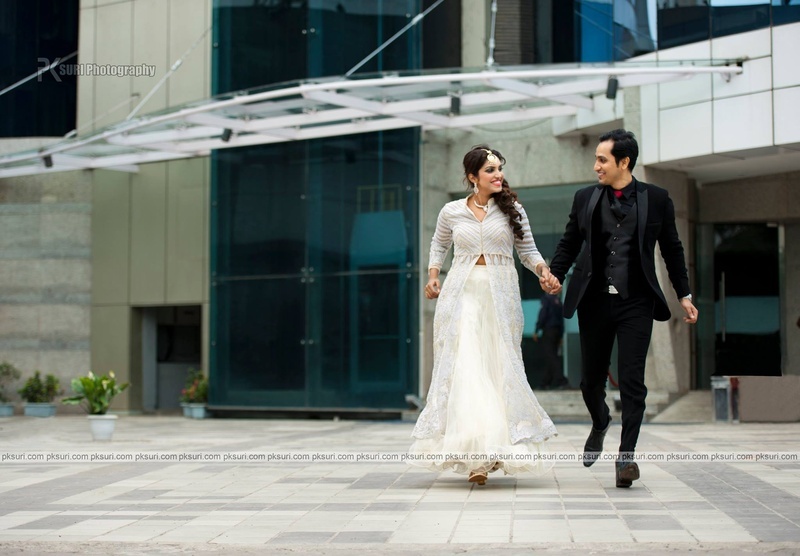 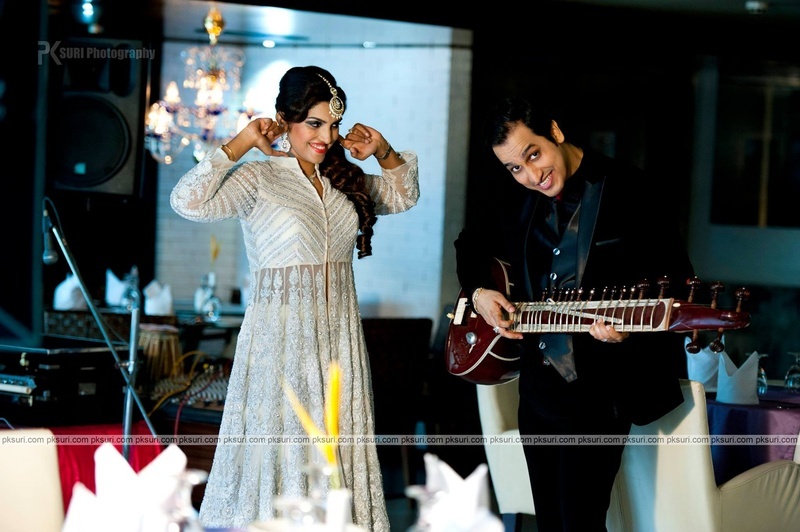 A diamond studded bajuband added just the right panache to her entire bridal ensemble. 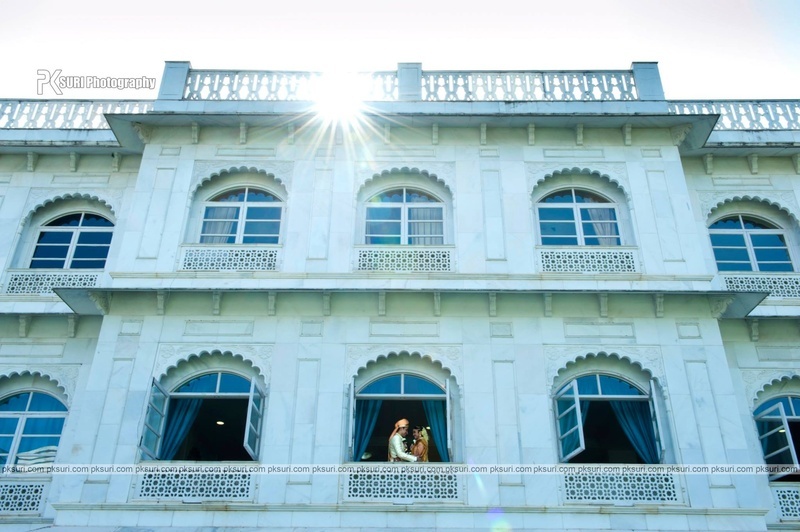 Sandeep and Nidhi made sure to capture every moment of their special day from start to end, so once things were made official, they engaged in yet another photoshoot! 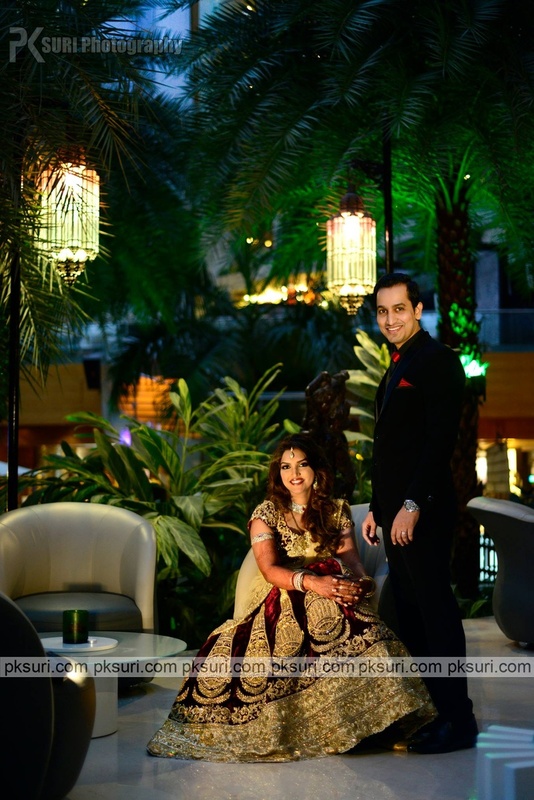 Nidhi, the beautiful bride wore a gorgeous maroon and gold velvet kalidar lehenga with a stunning diamond necklace set and the handsome groom kept it suave in his black suit. 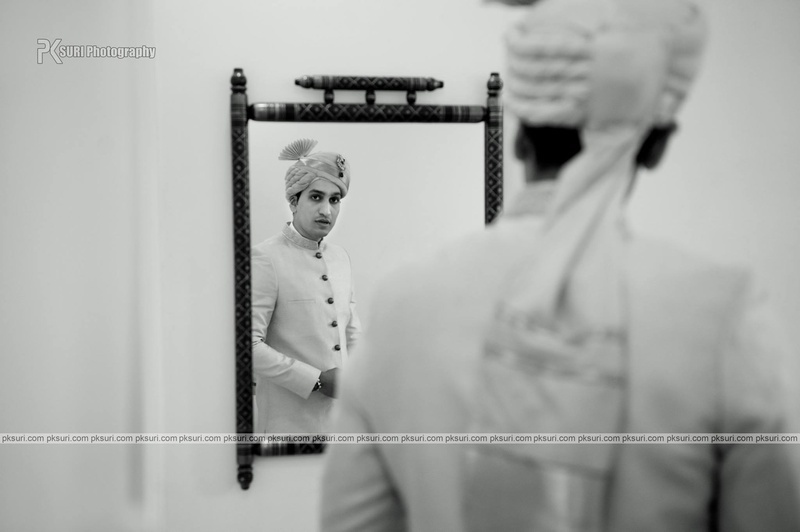 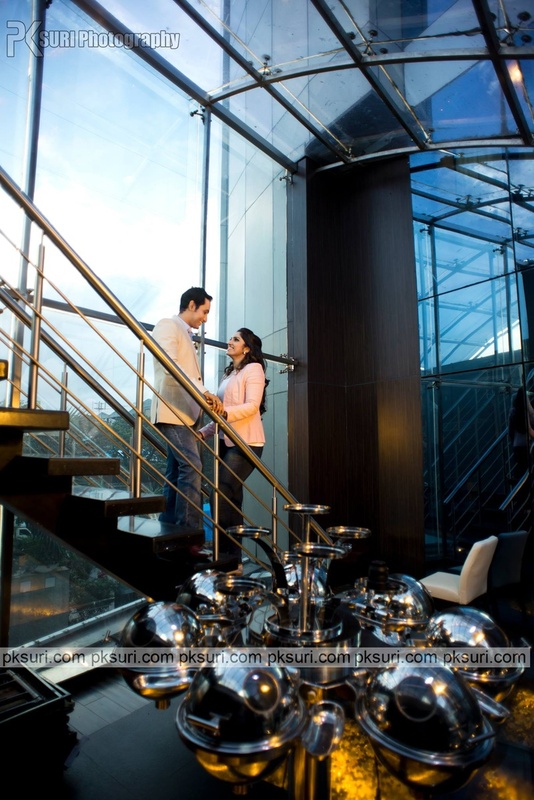 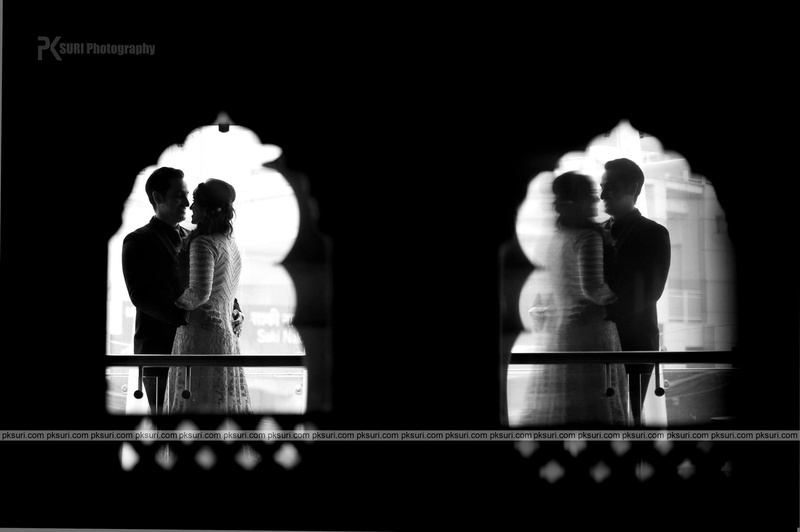 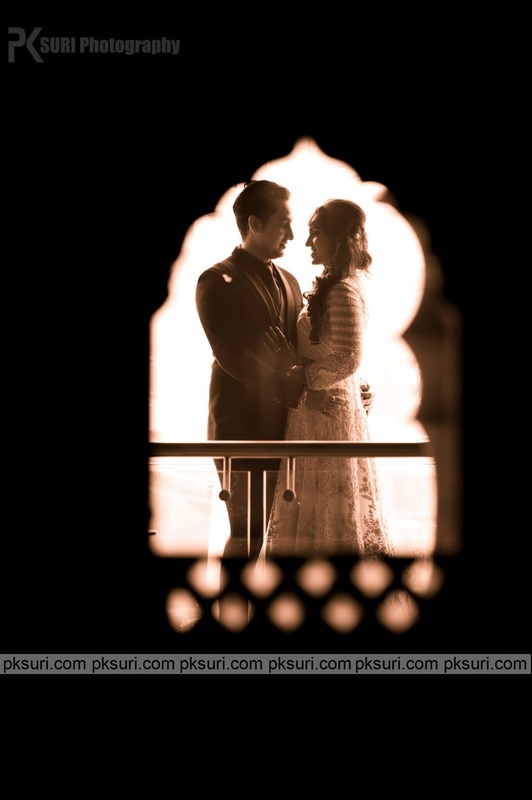 PK Suri Photography captured every stunning image from this wedding and proved yet again that photographs speak volumes and help you re-live a moment long gone. 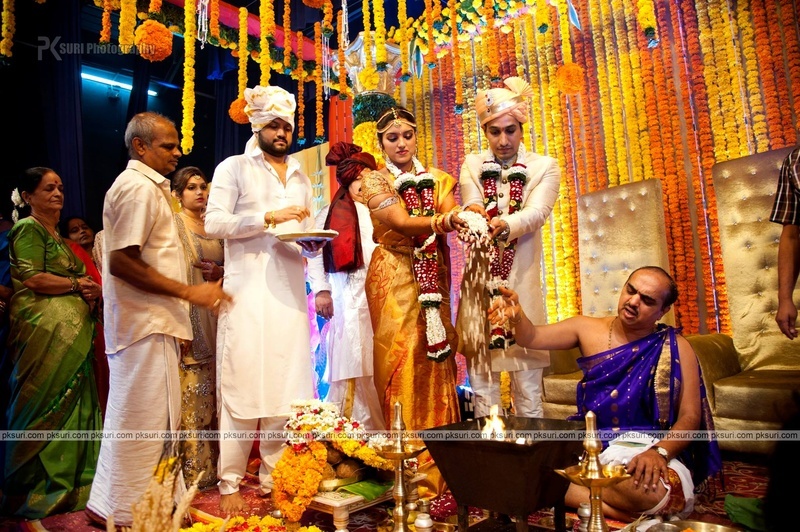 Let’s have a look at this extravagant wedding affair right here! 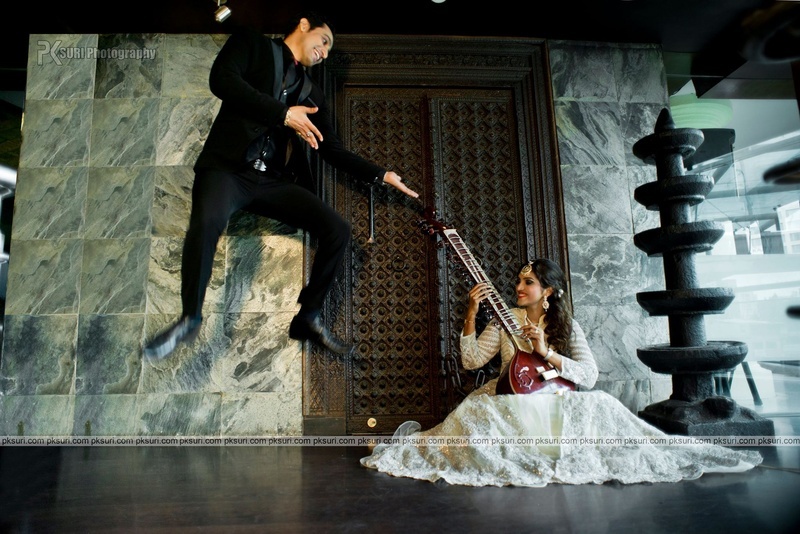 "Is this what I have to live with now?!" 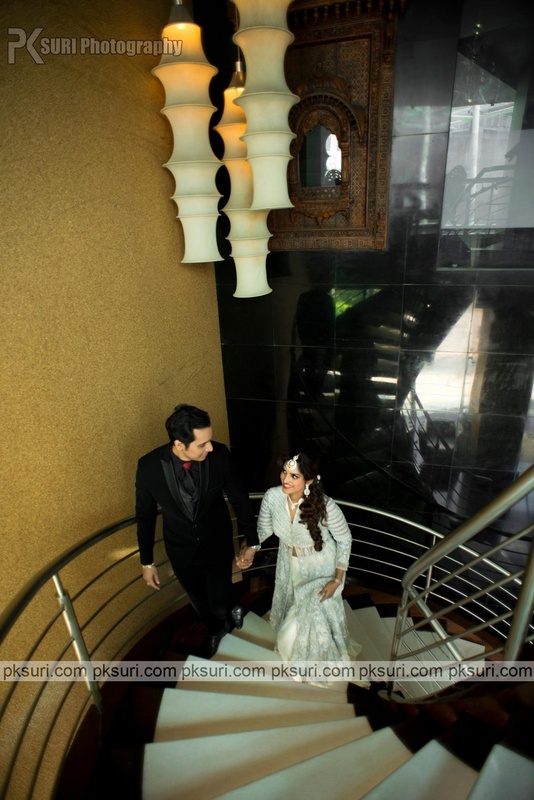 Running through life together, through thick and thin!